The cobbler’s kids have no shoes. And so it goes for many designers and their online portfolios. They’re so busy designing for their clients that they don’t have any time to design their own portfolio. I decided to write this blog in response to my own lackadaisical circumstance. I’ve started many online portfolios only to change my strategy halfway through and start over. By compiling a checklist of best practices, I’m hopeful to finally finish by current portfolio redesign. Many of the resources offering advice for portfolios suggest that you supplement your portfolio website by having a presence in designer community sites. Each community you participate in widens your audience. Plus, the links to your custom website from these communities may enhance your search engine ranking. The Behance Network hosts free designer portfolios with unlimited uploads. 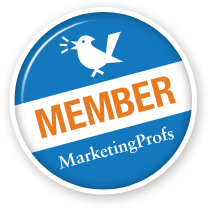 Anyone can “appreciate” your work samples and members can leave comments on your profile. ProSite (Sample) is $11/month and allows users to create a fully customizable website with about 12 layouts that syncs with your portfolio on the Behance Network. Create a free portfolio with unlimited uploads and a short, easy-to-remember URL. Members can “me likey” your work samples. View traffic statistics. Unlimited upload. Get new job postings that match your criteria via email, or subscribe to RSS feeds of new listing. Formerly called portfolios.com. You can join for free and post up to 5 design samples in your gallery with your name in the url. Upgraded memberships cost $10/$20/$50/month and allow up to 20 samples including pdf and flash. There’s no social interaction between members. More of a job board than a community. Elegant portfolio builder and hosting. Resume builder. 10 images on basic template is free. $10/month for unlimited images and 13 style templates to choose from. Geared more toward artists than designers, Deviant Art hosts categorized galleries. It is the largest artist community with over 13 million members. You can join for free and set up a profile, create galleries, and build a fan base. Sell digital art in their online store. Three free directory listings. BDA membership promotes your listings to the top of the directory and allows attachments of jpgs and pdfs. You can opt to be notified by email whenever your listing is viewed. Elance offers instant access to designers who work online and provides the tools to hire, view work as it progresses and pay for creative work. Designers create profiles, advertise capabilities, submit proposals, interview, negotiate contract terms, get hired, invoice for work completed, get rated by and receive payment from Client. There are membership fees and service fees. Cargo offers its members free standing personal websites with their own URL*, a wide variety of templates, and simple but sophisticated tools to control the way their content is displayed. Free basic membership. $66/yr for upgraded membership. Members must be drafted by existing members. Submit a sample to be invited to join. “Twitter for designers.” Shots are to Dribbble as tweets are to Twitter. Become a Spectator to add your name to the Prospect list. A Spectator must be drafted by an existing Player to be able to post shots. Spectators can post comments. If you’re a web designer, and even if you’re a graphic designer, a custom website and domain name can be a necessity. Nothing gives you more control over the display of your work samples. However, we designers tend to be too close to the client to see the big picture when the client is ourselves. Here are a few resources to get us to back up for a clearer strategy. Now… let’s get some inspiration. This last one I add because of the up-front pricing packages and tool resource page. Also, some of her portfolio images with multiple items have buttons over items for links to larger single item images. Gloria – great job and really helpful to see all the links thanks for the great presentation at the Boulder Designers Group. I am going to tweet this!